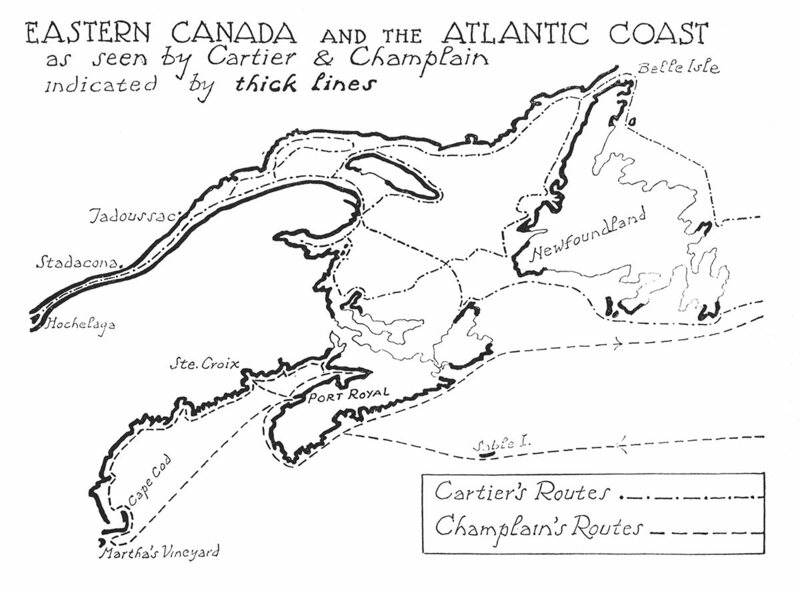 The map is intended to show those parts of the country that were actually seen by Cartier and Champlain. 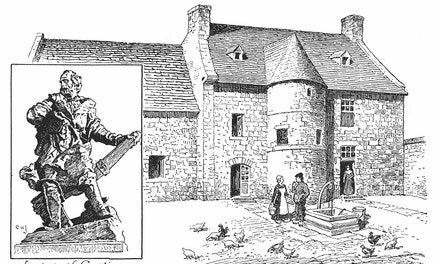 Other portions were probably visited by unknown sailors from France who left neither maps nor records of their voyages in quest of fish and furs. 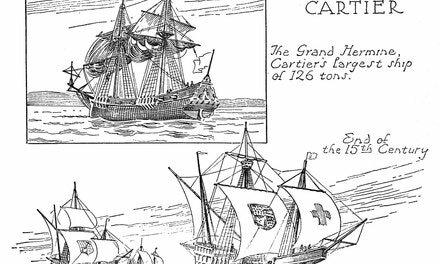 It is known, however, that the coasts of the Gulf of St. Lawrence were frequented for years before and after Cartier's time by Basque and Breton fishing vessels, as well as by many English ships and still others from Portugal and Spain. This method of map-making might be followed with advantage in schoolroom work. An outline modern map should be drawn on the blackboard: on this the routes and areas visited by the explorers should be marked by a heavier outline, or by coloured chalk, and the unexplored portions then rubbed out. Similar exercises might be done by the pupils on mimeograph copies of outline maps supplied to them. The explorations of La Salle, La Verendrye and others thus represented would give to the pupil a more vivid realization of the lure and mystery of discovery, and an idea of the extent of the geographical knowledge of the period.